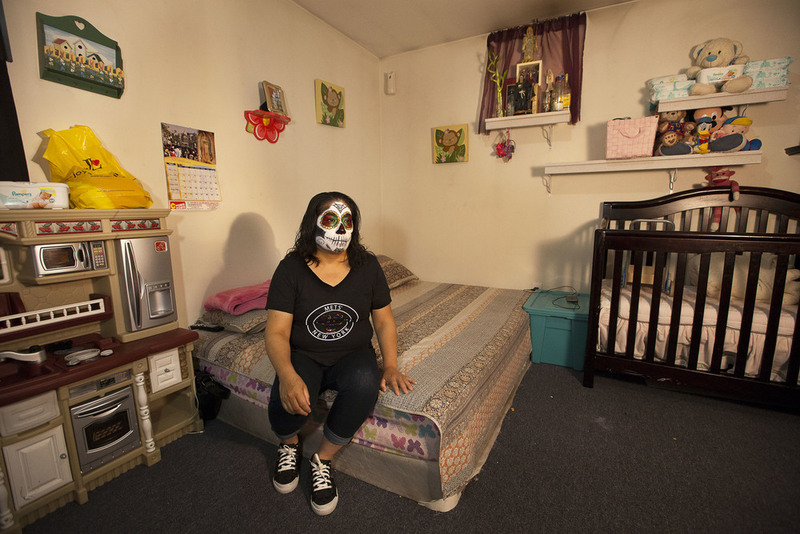 Ghosts in America is an ongoing project that captures the societal dissonance of the ordinary working people in the United States who live among us as undocumented immigrants. They are mothers and fathers, students, small business owners, teachers and activists -- each one working toward a better life for themselves and their families. But officially, they do not exist. 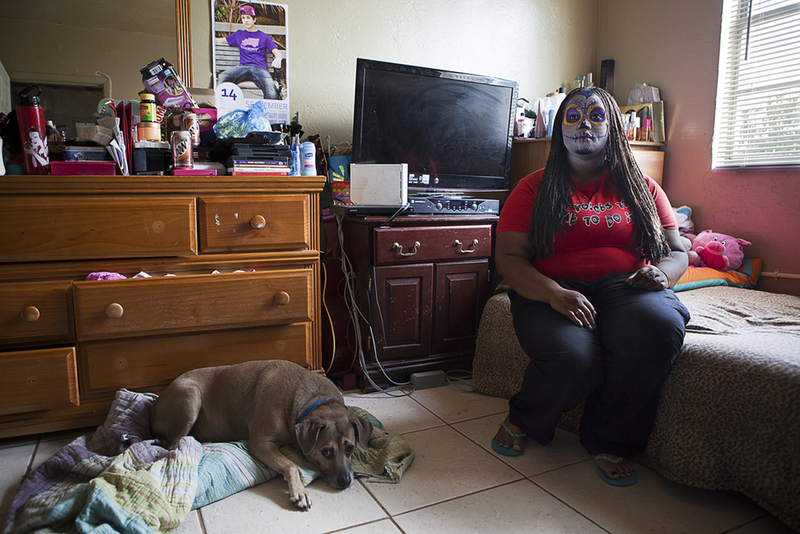 This project tells their stories of life amid the struggles of an uncertain immigration status. Their faces are painted with cultural symbols of the Día de los Muertos (Day of the Dead) tradition, which represent death and rebirth. 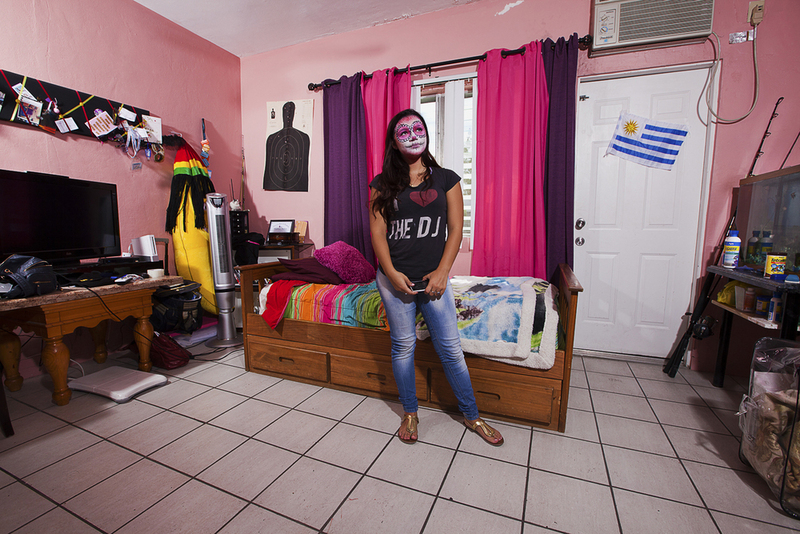 Each subject is transformed into a character in their own world and is photographed in their home environment, where they nurture their dreams and goals. My portraits use a cultural tradition common throughout Latin America -- and increasingly, in American pop culture -- to bring awareness to an important social issue that we in the United States have so far failed to reconcile. Undocumented immigrants are here, living, working and contributing to America.